Action, adventure, relaxation, it’s all here on Vision of the Seas. 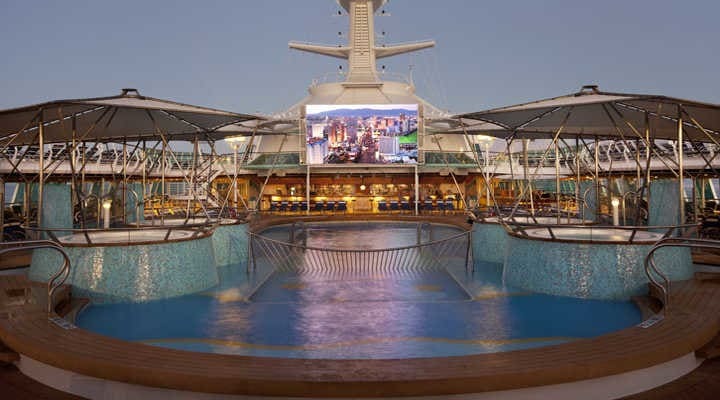 Royal Caribbean welcomes you to a voyage of excitement whether scaling the top deck climbing wall, salivating as you wait for a meal to remember at any one of the fantastic dining options or kicking back with a cappuccino. 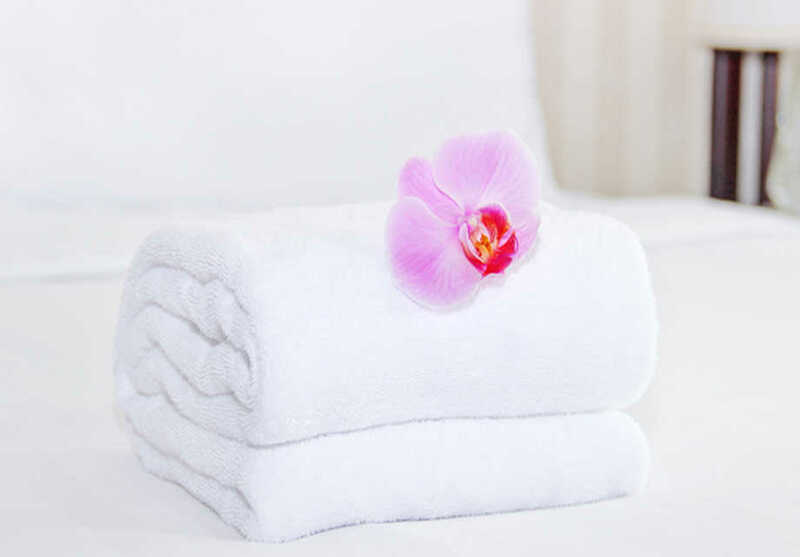 Vitality Spa’s professionals will effortlessly draw you into relaxation with a massage or treatment while mini golf, kids clubs and areas for teens await to please the younger members of the family. 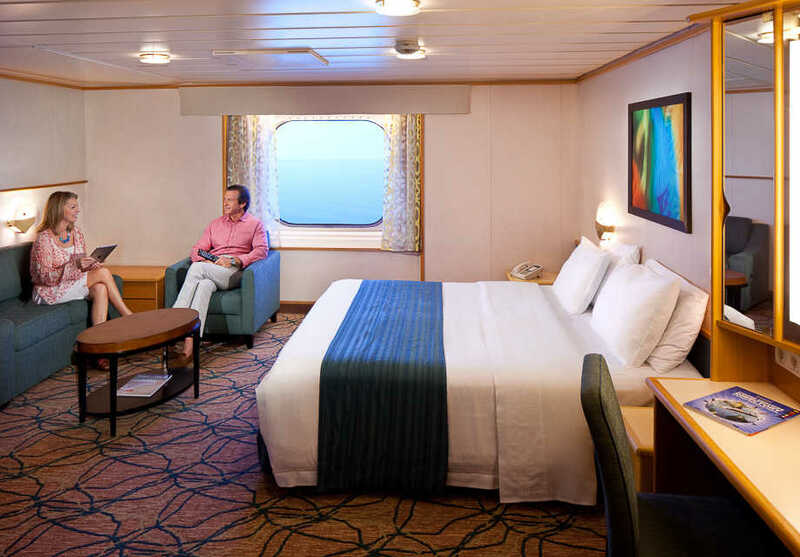 Then, lastly and most importantly, there’s the comfy staterooms and suites, some with views across the ocean from inside and out on the balcony. 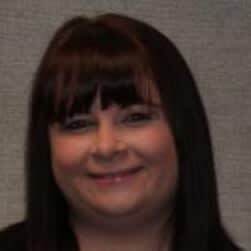 However, you decide to spend your voyage, just know that the high standards of service and plentiful choices are waiting on your Vision of the Seas. Meal-times, snack times or just an ice-cream treat - on Vision of the Seas assortment is the key. Royal Caribbean has your shopping desires sorted! Its ships have a fantastic variety from designer stores to quirky art auctions, duty-free essentials to fashion. 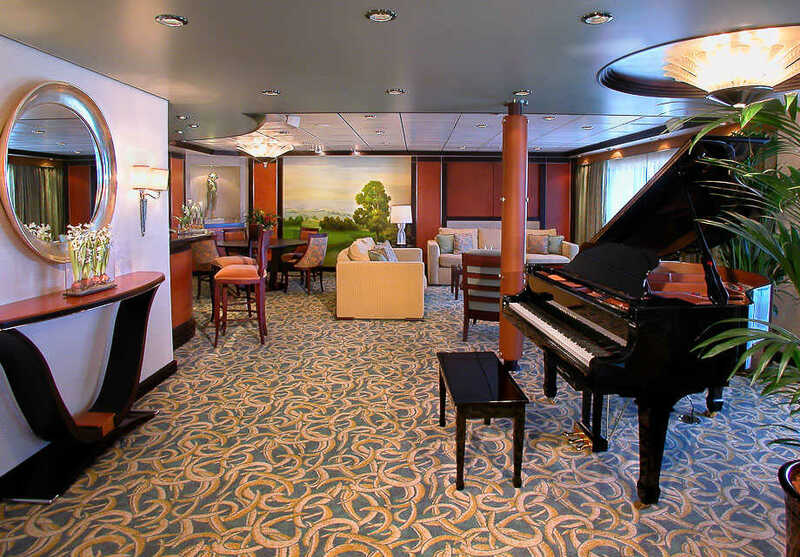 You will find a fantastically varied collection of bars and lounges aboard this Royal Caribbean ship. Vitality? Spa's stress-busting haven has just the treatment, therapy or massage to bring out the calmness in all of us. Fill your days with excitement or tranquillity. Take your pick – this is your holiday! With a sports court, mini golf, table tennis and a rock-climbing wall to start you off there's always plenty for families aboard Vision of the Seas. Full productions in the Masquerade Theatre bring Broadway to the ocean whilst Centrum makes the night come alive with jaw-dropping aerial spectacles. Enjoy big screen movies and sporting events poolside under the clouds or stars. A haven of adult-only space with three cantilevered whirlpools and glass decks. Try a new skill like rock climbing on the impressive rock climbing wall which will also give you phenomenal views from the top! A haven for nightly jaw-dropping aerial spectacles, the Centrum also offers classes, game shows and more during the day in futuristic surroundings. This full-size sports court is home to basketball, volleyball, dodge-ball, football and more - there's always a way to get active here. For your fix of Italian favourites head to Giovanni's Table where you'll find rustic favourites with a contemporary twist. Typical Japanese cuisine including sushi rolls and sashimi or cook your meat to your liking ishi-yaki style on a hot rock placed at your table. Two-story dining room with extensive menus offered daily. The place to enjoy all the glamour and glitz of Broadway or Las Vegas. For an exclusive experience attended by no more than 16 people, the Chef's Table serves a five-course meal paired with wine and presented by the Executive Chef. Join friends at the poolside, take a dip or relax in one of the many comfortable loungers. If you prefer a tranquil environment then try the adult-only Solarium Pool instead. You will find four fabulous pools aboard this ship including the Adventure Beach Kids' Pool with waterslide. Based on the lines of a steakhouse but elevated to reflect more modern cuisine, Chops Grill is Royal Caribbean's hallmark restaurant. Exclusively for use of Grand Suite-level rooms and higher plus Diamond Plus and Pinnacle Club Crown & Anchor Society members. Enjoy complimentary continental breakfast and evening drinks. Crammed with yacht-polished wood and deck ropes, the Schooner Bar's nautical theme provides a welcome backdrop to a piano-playing singer. Make a request perhaps or simply listen to his repertoire. Here's where you'll watch the world go by while enjoying such delights as crepes, made-to-order panini and so much more. All the choice you can imagine set out in mouth-watering buffet bars. This international offering is set with an ocean backdrop for maximum effect. This lounge is for the exclusive use of Diamond, Diamond Plus and Pinnacle Club Crown & Anchor Society members. You will be able to take complimentary continental breakfast and evening drinks here. For ages 3 to 5. Children will enjoy Bubbling Potions, Pyjama Nights and Sail into Storytime. For ages 6 to 8. Children will enjoy the Get Buggy and Germ Jungle Sciences or shine at the Talent Show and Sports Night. For ages 9 to 11. There are lots of activities for this age group, including Environmental Station Science, Scavenger Hunts and Girls vs. Boys Night. For ages 12-14. Providing just what ‘tweens’ want. Scavenger hunts, arcade challenges and rock climbing competitions during the day, with movies and pool parties at night. For ages 15-17. For those who simply want somewhere to meet each other and chill there are teen-only spaces where they can hang out until late. A vast casino containing 291 slots and 16 tables - try your luck! This glass-enclosed bar on the top deck is hard to beat for eye-catching views. Come to watch the sun go down or if you're struggling to sleep maybe the sunrise too. Choose Illy or Starbucks coffee, speciality drinks, snacks, pastries and sandwiches - day or night. As the night draws in and the music heats up you will be thankful you took those salsa classes earlier in the day! Show off your moves then sample a cocktail or two - you've earned it. Whilst soaking up the sun or wandering around the decks you will never be far away from a cooling drink. Cocktails, beers, soft drinks are a short strut from your seat or just around the corner. Enjoy a 1960s vibe at R Bar with its iconic furnishings and classic cocktails – gimlet, martini, gin, whiskeys and more all complementing the Centrum’s nightly theme and aerial performance. Take your indulgence to the next level with a visit to Vintages. You will be offered an impressive wine list or you can choose to go for a sampling menu. Browse original works in the onboard gallery and throughout the ship and even purchase something for yourself via the onboard art auction. Increase your original art collection or simply admire the work by interesting and acclaimed worldwide artists. You'll find everything from cruise wear and liquor to perfume and jewellery at these distinctive shops. Walk, run or jog your way around the track and take in some air whilst you are onboard. For a small fee, you can access the internet to catch up with friends, family and emails. Every port has unique adventures for you to enjoy and it all starts with a visit to the Shore Excursions Desk where a friendly team member is ready to help you make the most of your cruise holiday opportunities. Try your luck or test your skill in the bright video arcade. This state-of-the-art fitness facility contains all the space and equipment you need to keep fit whilst on board which includes classes in yoga and tai chi. The ultimate in personal indulgence is waiting for you at the spa with its range of over 100 massage and pampering treatments including acupuncture. The Vitality Program offers advice on stress management, nutrition, fitness and general health. 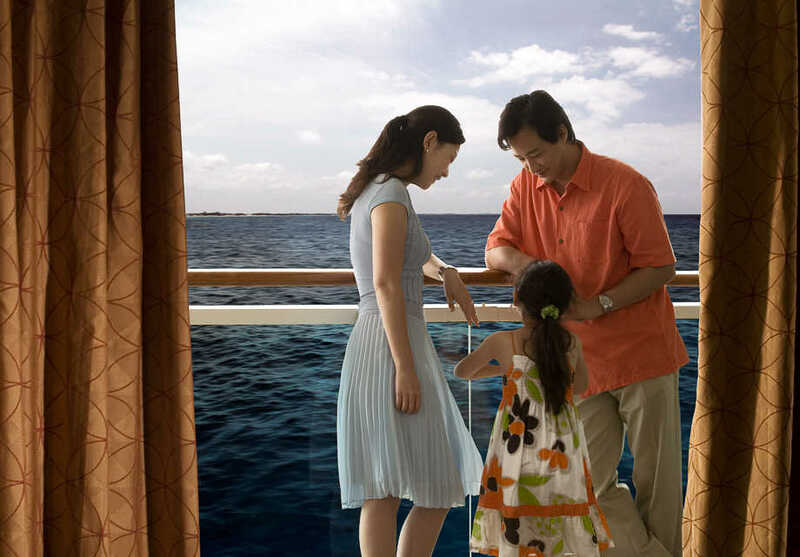 During your voyage take your family along to the family-friendly activities offered onboard including games, contests, enrichment classes and lectures. For babies 6-36 months. This colourful nursery staffed by professionals and offers specially designed programs and excellent care. There is a charge for this facility. 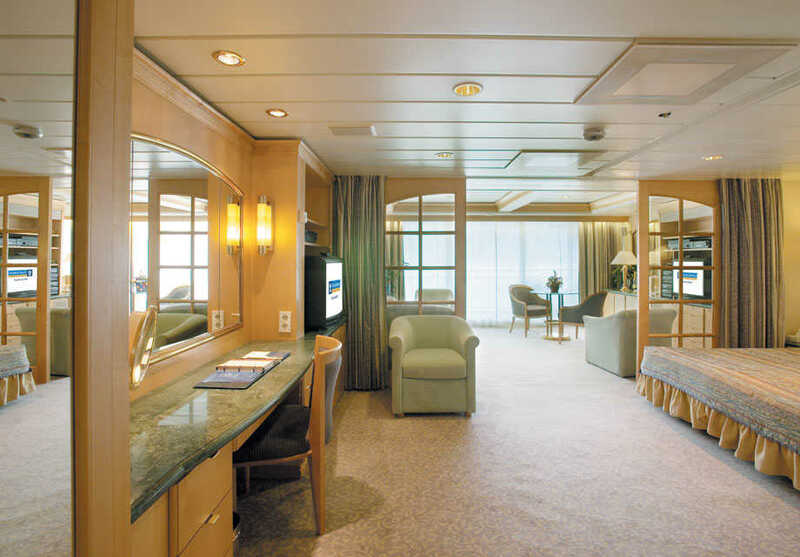 A view from every stateroom. Even the inside rooms can access a live Bridge-to-TV picture, so whatever your budget there is an ocean out there for your eyes. Superbly finished with twin or king-size beds as standard, private bathrooms with walk-in showers plus spacious balconies and plush sitting areas the choice is all yours. For extra comfort, a suite will give you extra space plus concierge and valet services and expedient priority check in and out. Spacious suite with twins that convert into one Royal king-size bed, a sitting area with a sofa bed and a balcony. Features a bedroom area with two twin beds that can become a Royal king-size bed. There's a full bathroom with a tub and the sitting room conveniently offers a sofa that converts into a bed. 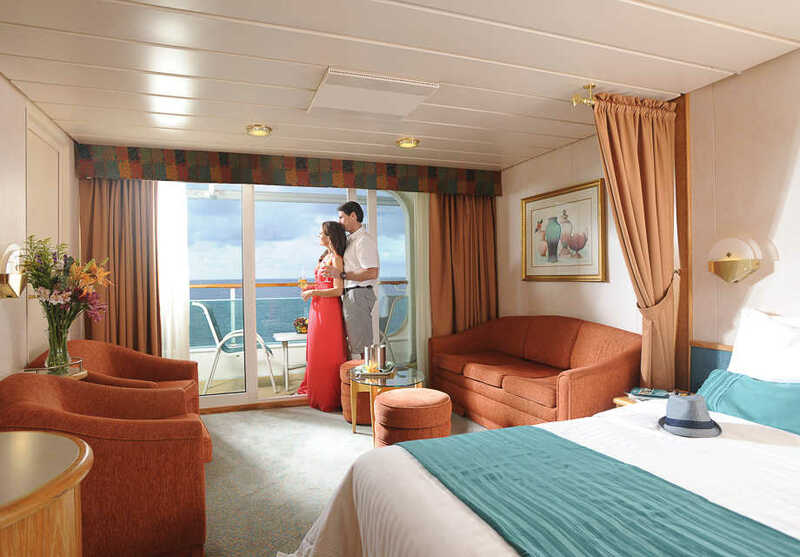 This balcony stateroom has a choice of twins or a Royal king-size bed plus a sitting area with a sofa bed, a private bathroom and a balcony. Enjoy a vanity area, private bathroom and great views of the ocean from the sofa of your sitting area. 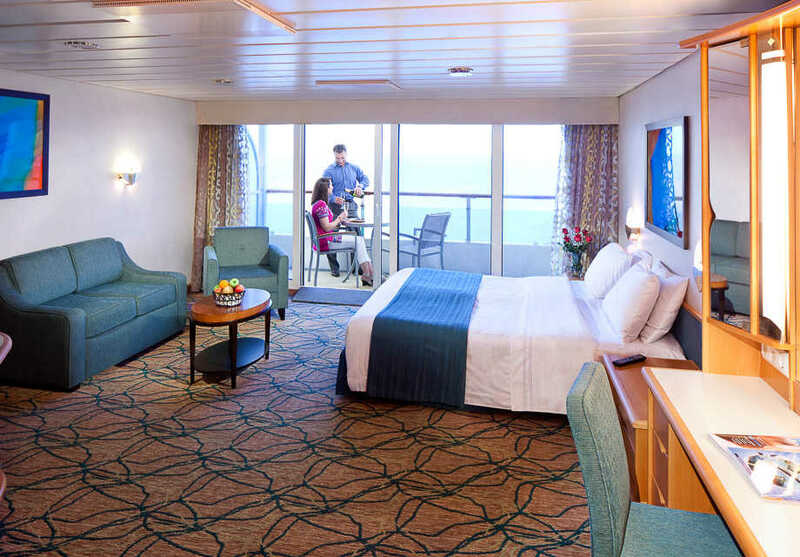 Deck 2 Ocean View Staterooms have a porthole instead of a window. Enjoy a private balcony outside and a living area with a queen size sofa bed inside. Your bathroom has a tub and there's a queen size bed in the bedroom. Enjoy a Royal king-size or twin beds, bathroom with shower and vanity area plus a sitting area with sofa. 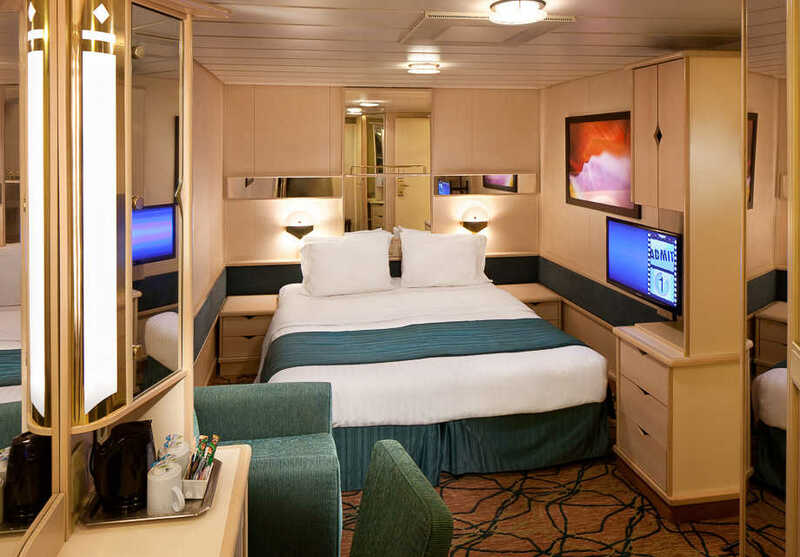 This stateroom has a choice of twins or a Royal king-size bed plus a private bathroom with shower, separate area with bunk beds area and a sitting area with a sofa bed. This spacious and luxurious suite includes twins or a king-size bed, a bathroom with a whirlpool bathtub and a private balcony. Guests in this suite will also enjoy concierge service, a living room with a queen-size sofa bed and a baby grand piano. 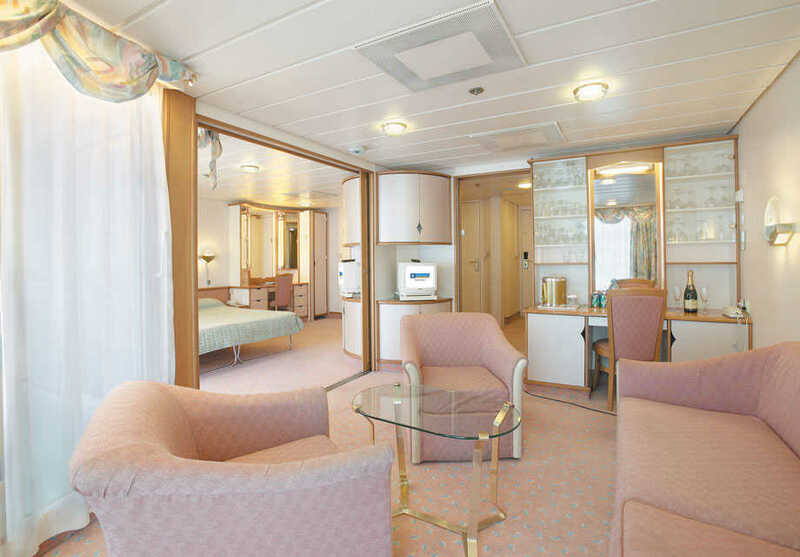 This stateroom has a choice of twin or a Royal king-size bed plus private bathroom and sitting area. This spacious two-bedroom accommodation provides ample space for a family or friends with separate sleeping areas and bathrooms alongside communal living space. Enjoy the convenience of two twin beds that can become one Royal king-size one along with a sitting area with a sofa. The oversized window provides an extended view of the ocean.